Bill Betten is the president of Betten Systems Solutions LLC, a product development realization consulting organization with an emphasis on early stage product development and commercialization. Bill utilizes his years of experience as an engineer, program manager, and executive in the medical industry to advance device product developments into the medical and life sciences industries. Bill most recently served as Director of Business Solutions for Devicix/Nortech Systems. Bill also served as Vice President of Business Solutions at Logic PD, medical technology Director at TechInsights, Vice President of engineering at Nonin Medical, and in a variety of technology and product development roles at various high-tech firms, including Honeywell and 3M. He has been directly involved in a variety of medical developments, including hearing aids, perfusion systems, PACS and medical imaging, networking/storage, telemedicine, vital signs monitoring systems, and mobile health. His design/manufacturing consulting experience extends from start-ups to Fortune 100 companies. His non-medical product development experience includes semiconductors, aerospace/defense, and industrial applications, including connected devices as part of IoT. Bill is a member of the IEEE, Computer Society, and the American Telemedicine Association. 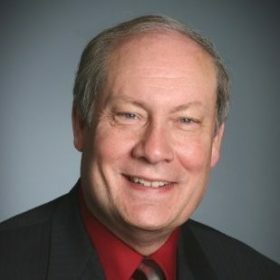 He has served on medical Editorial Advisory boards as well as Advisory Boards for the Pediatric Device Innovation Consortium, for St. Thomas University, for the SD School of Mines and Technology where he is also an entrepreneur in residence, for Minnesota State University, for Medical Alley’s R&D Advisory Group, and is a noted author and lecturer. He has served in many roles in his home community, including city council, planning commission, and economic development authority. Bill received bachelor’s degrees in electrical engineering and physics from SD School of Mines and Technology, and a master’s in electrical engineering from the University of Minnesota as well as continuing executive education at Babson College.